id Services Australia specialises in providing a range of Tourism Management Services inclusive of public relations, marketing, sales and operational services for resorts, hotels and tourism operators within the luxury, agritourism, ecotourism, adventure and cultural tourism sectors. The Travel & Lifestyle division of the company specialises in providing bespoke travel services with an expertise Australia-wide and a very special interest in the Kimberley and Far North Queensland regions. International destinations include French Polynesia, New Zealand, Europe and especially the Maltese Islands, North America, Brazil, Peru, Mexico, Cuba and Africa. All Travel reservations support the Holidays With Heart initiative, created to raise funds to support HWH Stables which offers respite services to families affected by Huntington’s Disease. Chris Fenech has worked in the hospitality and tourism industry for over 20 years, primarily for large hotel management companies including Southern Pacific Hotel Corporation (SPHC), Bottomline Risk Hotel Risk Management prior to Accor Asia Pacific and Voyages. 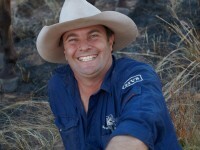 Chris received accolades for his work as the Director of Marketing, Sales and Public Relations for the internationally acclaimed and award winning El Questro Wilderness Park – formerly part of Accor prior to its publicised sale to GPT’s Voyages Hotels & Resorts (now part of the Delaware North group). 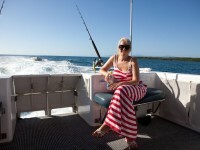 Please refer to the Client Portfolio page for more recent information about id Services Australia – Travel & Lifestyle. During the 2011 through to the 2012 tourism seasons, Chris Fenech embarked on a new challenge accepting the offer as the General Manager of Home Valley Station now part of Voyages Indigenous Tourism Australia, this was a true tribute to his commitment toward this project after a previous 5 years of dedication to Home Valley Station during its initial construction, product development and official launch of the operation. Departing the Kimberley, Chris now operates the business from its rural base at Upper Orara nearby Coffs Harbour, on the Mid North Coast of NSW, which now also includes HWH Stables which is a business that specialises in Equine-based activities onsite within the picturesque Orara Valley location along with offsite locations throughout the Coffs Coast region. HWH Stables has been awarded the licence to operate Horse Riding and Lessons along the beautiful Boambee Beach and is also very proud of its services as a Respite Facility for families affected by Huntingtons Disease. As the saying goes, ‘the apple never falls far from the tree’. Chris Fenech has a family pedigree in luxury hotels and resorts stemming from the Fenech Group of Hotels located in Europe. Tradition continues as Chris now incorporates the dynamic talents of his family who all contribute to the HWH Stables team. Nicolle Fenech, nee Shepherd, is a successful career print journalist and editor with Fairfax, News Limited and Torch Publishing. As a co-founder of the company, Chris drew on Nicolle’s extensive media background Nicolle provided to develop a niche service to both tourism sector clientele and to the many and various non-tourism small to medium size businesses looking to maximise their return on investment from advertising and public relations. Copywriting, press release management, database mining, editing and management of campaigns are just some of the additional services offered by id Services Australia. The company’s understanding of cost-effective communications has resulted in its clients achieve enormous success from sound, prudent and creative campaigns for far less than expected. Chris is also a member of the Australian Society of Travel Writers. As an organisation id Services Australia offers an armoury of marketing associates and communication tools which can be tailored and designed to suit various clientele objectives. Please view our range of Services within this website, or contact id Services Australia – Travel & Lifestyle.